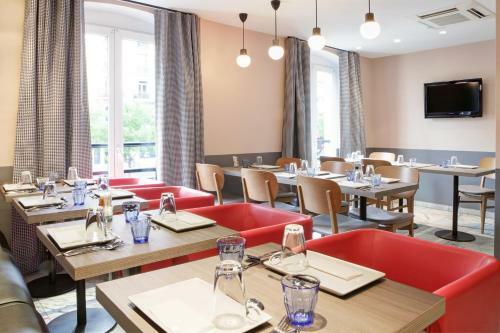 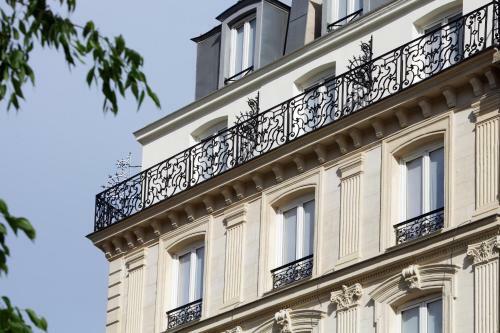 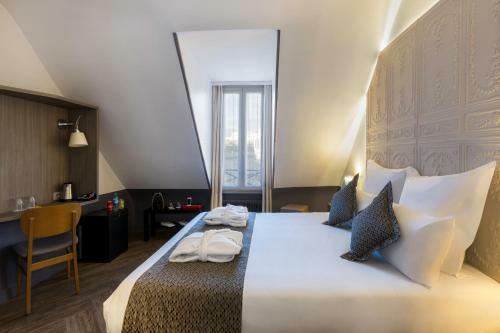 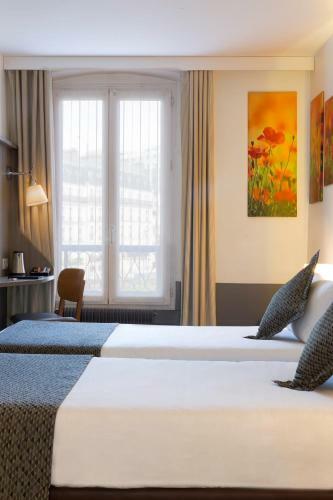 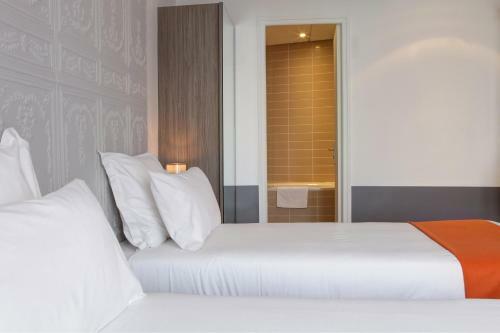 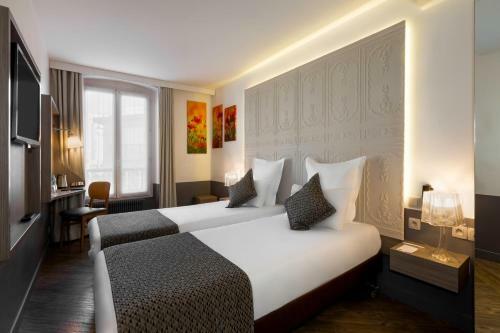 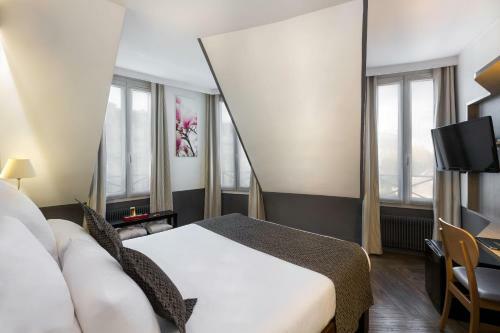 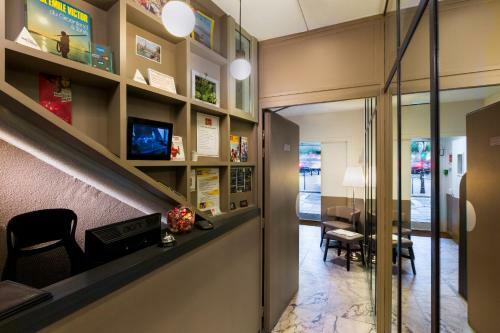 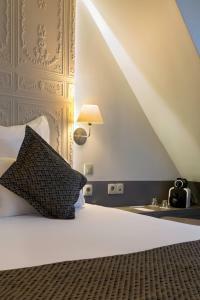 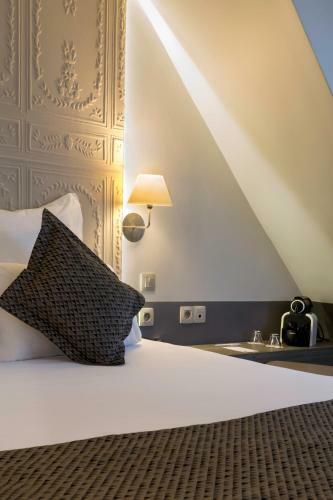 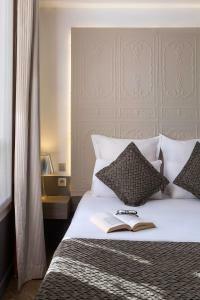 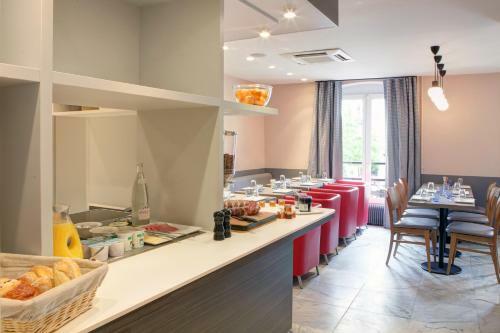 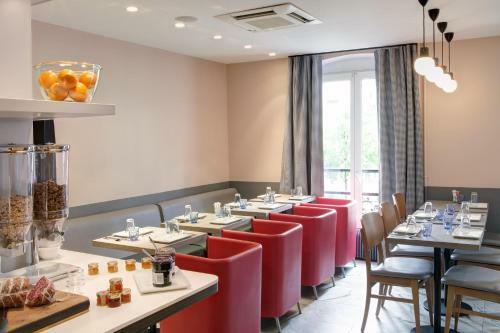 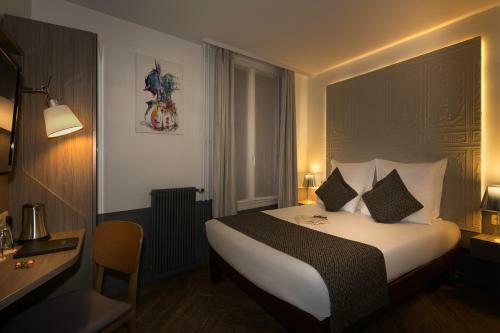 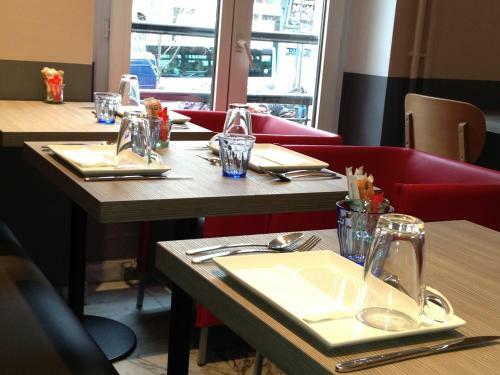 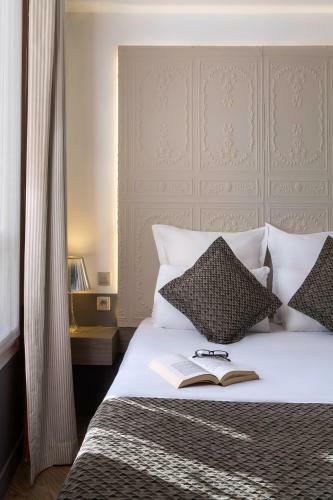 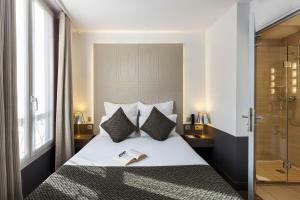 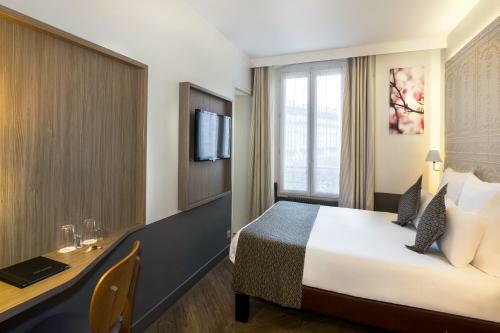 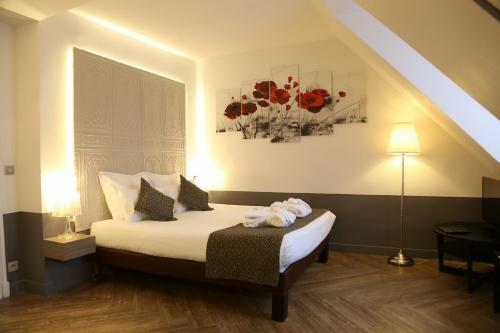 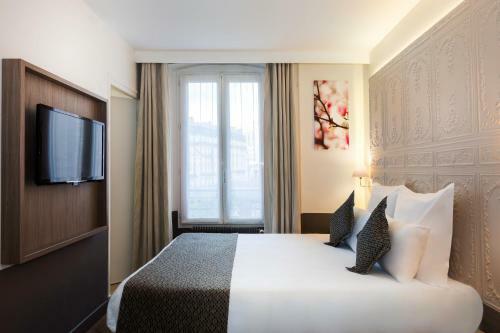 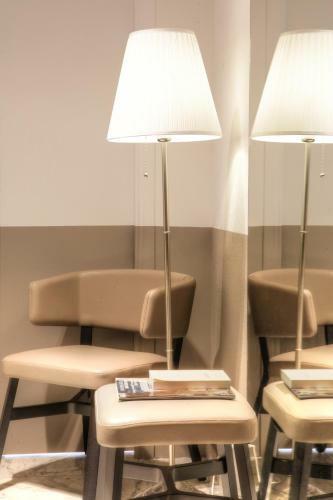 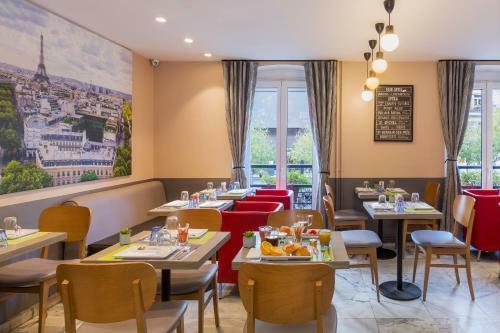 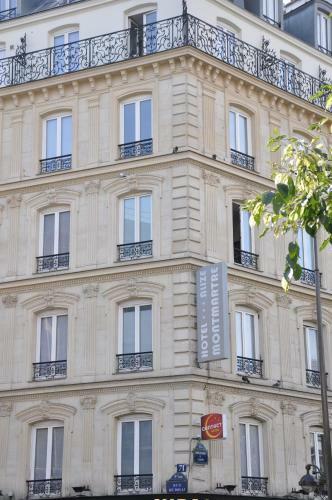 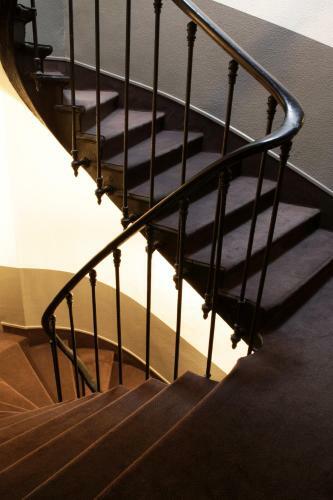 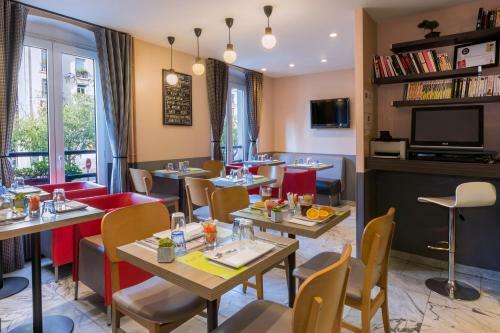 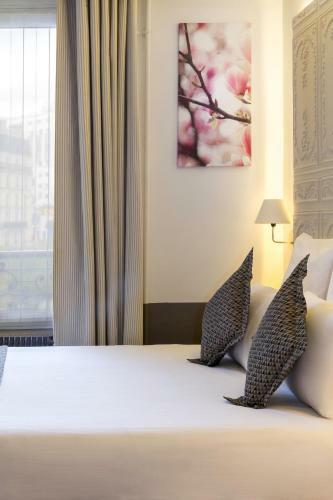 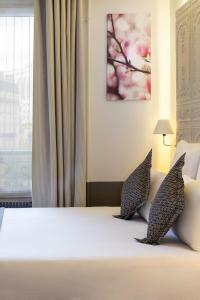 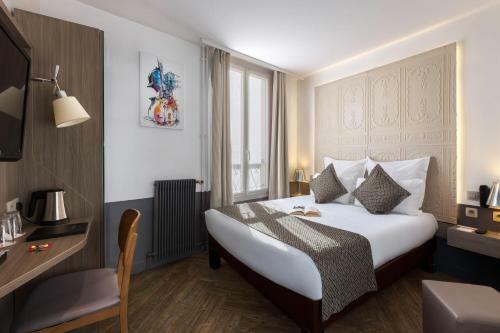 Located by Place de Clichy and a 20-minute walk from the Sacré Coeur Basilica in Montmartre, Contact Hôtel Alizé Montmartre offers a 24-hour front desk and air-conditioned rooms with free WiFi access. 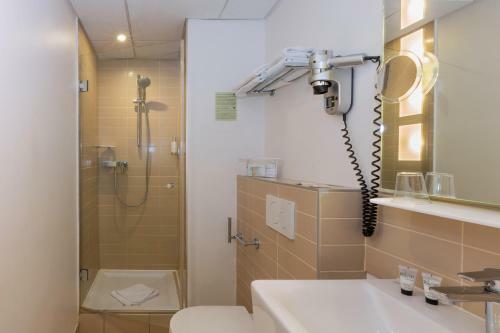 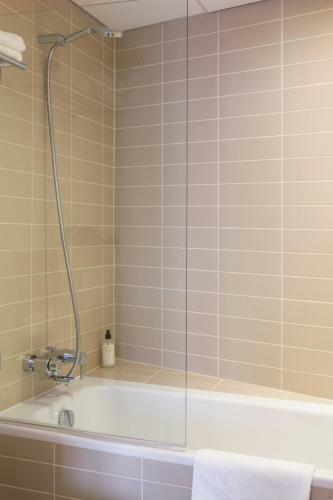 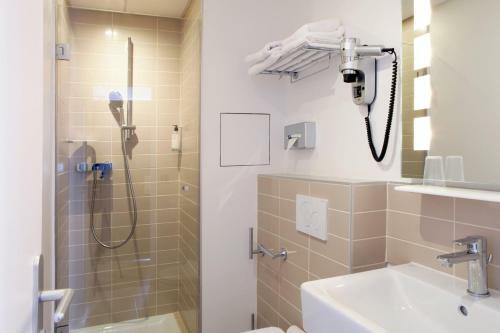 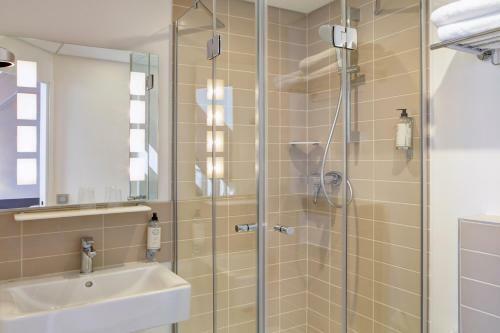 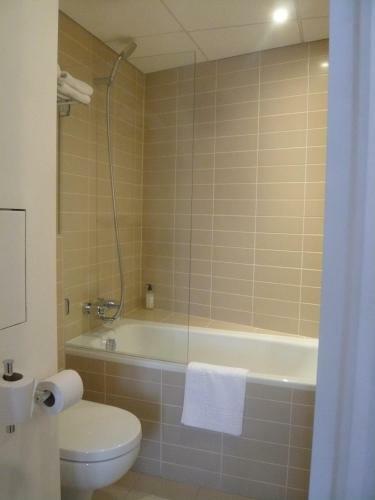 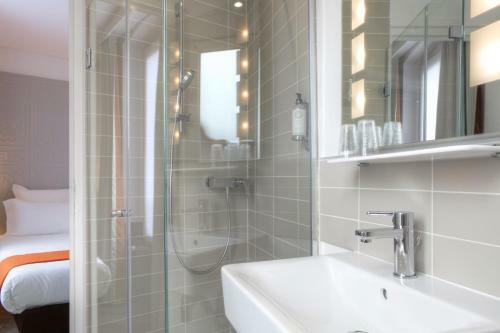 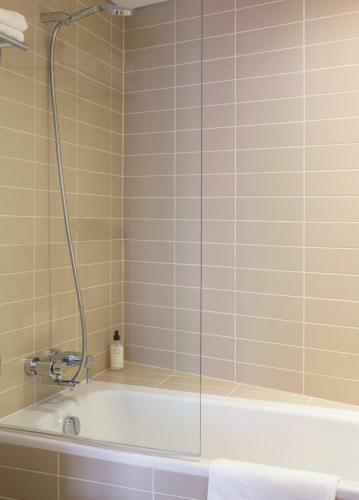 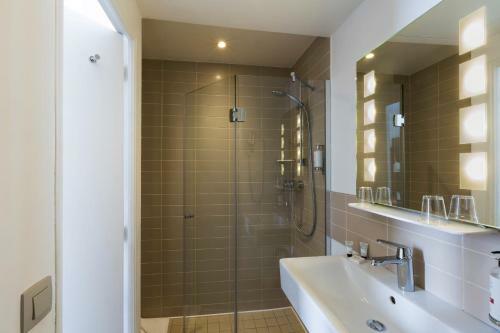 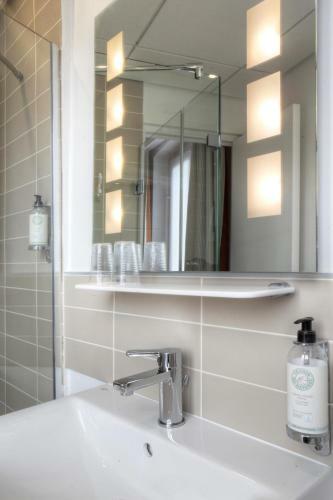 Each room is serviced by a lift and includes a flat-screen TV with satellite channels, a kettle and a private bathroom with a bath or shower and a hairdryer. 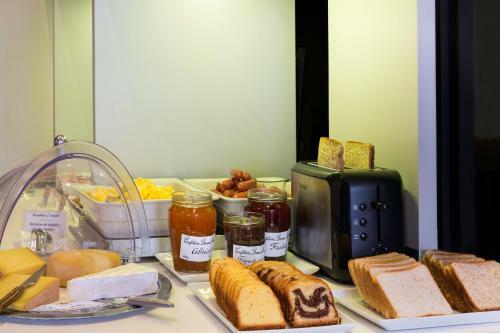 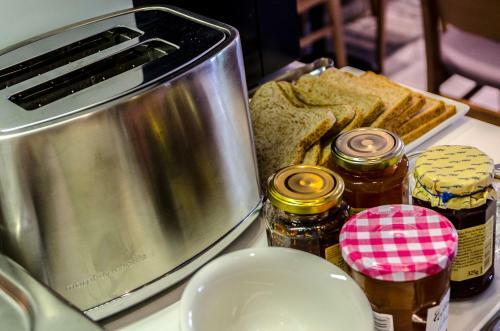 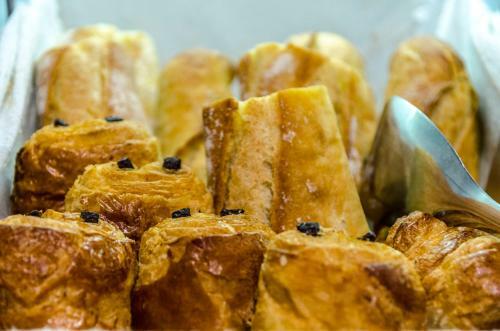 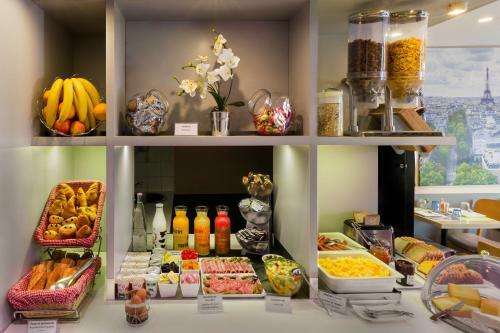 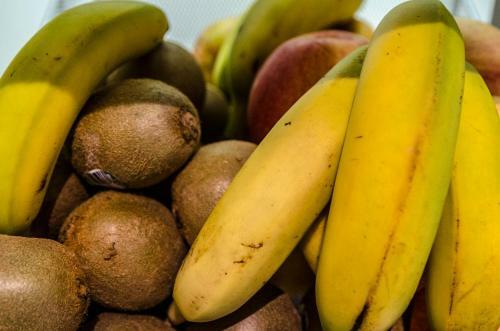 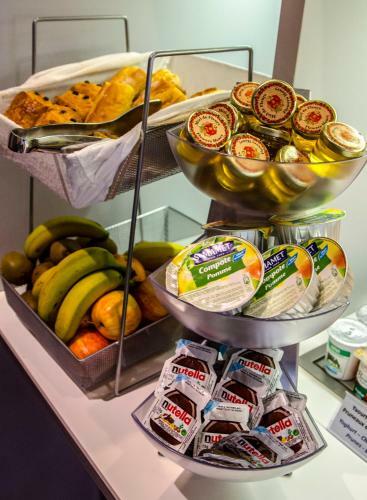 You can enjoy a buffet breakfast, served daily at the hotel. 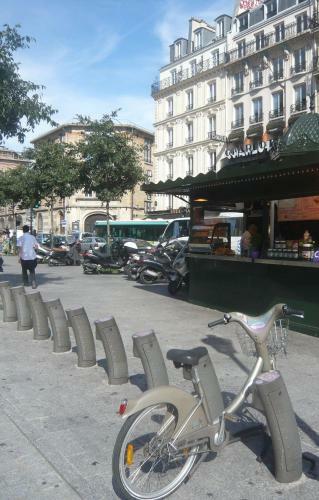 You will find a large choice of shops, restaurants and bars in the area. 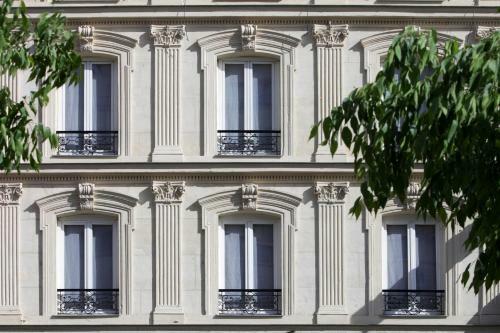 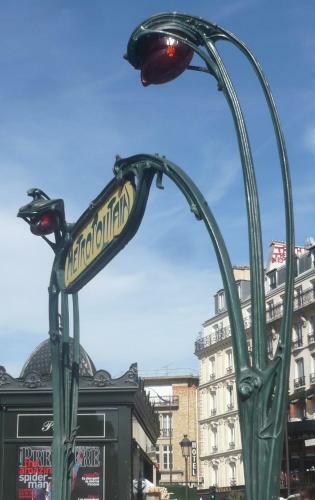 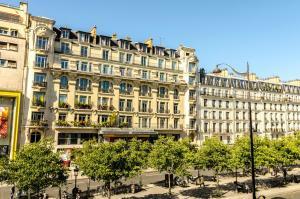 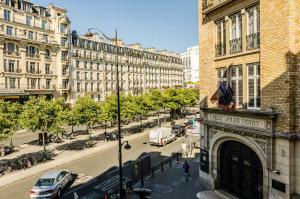 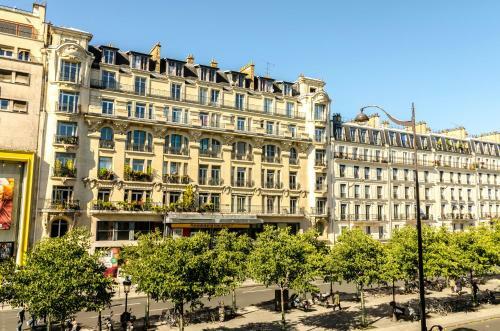 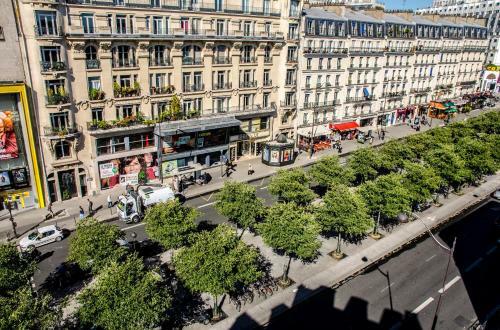 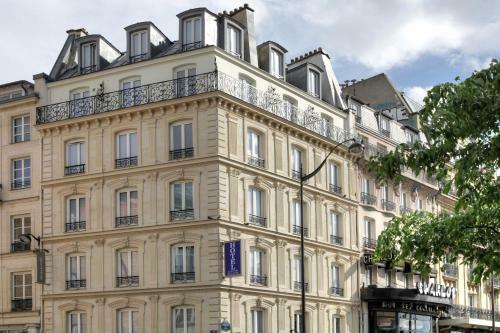 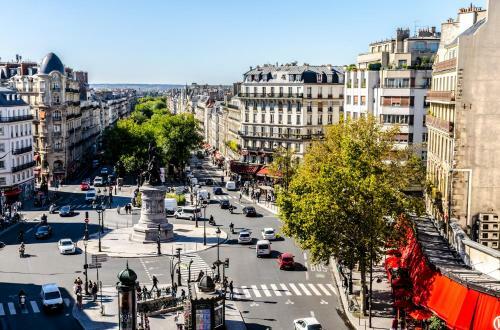 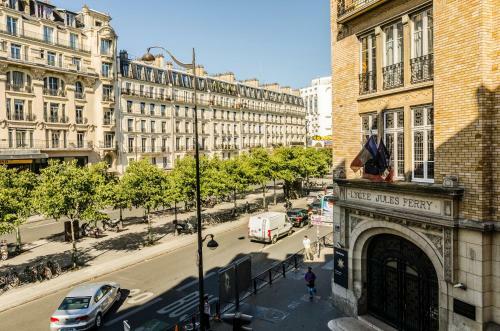 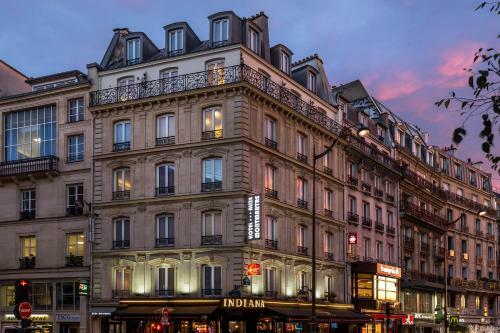 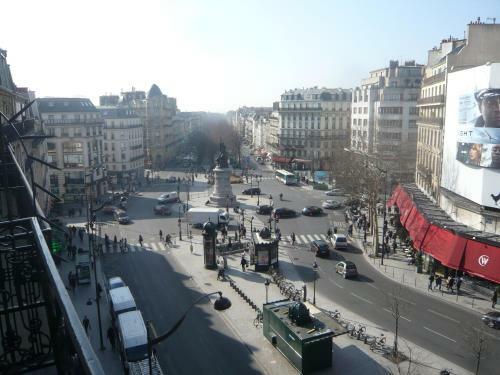 Place de Clichy Metro Station is a 1-minute walk away while the Pigalle area is under a 10-minute walk away. The Moulin Rouge is just 400 metres away from the property. 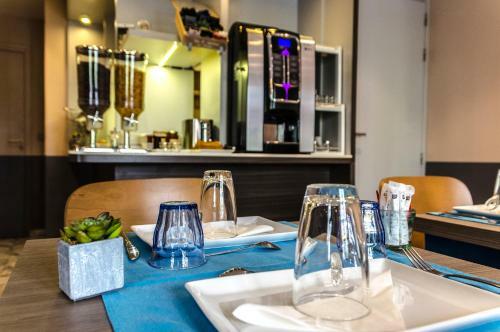 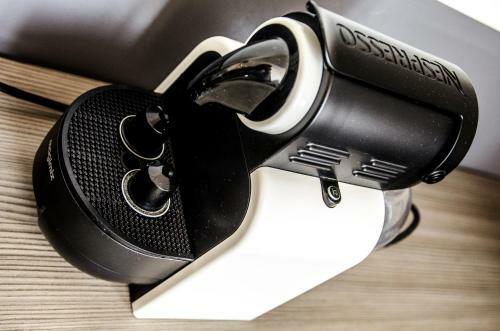 Each air-conditioned room includes a flat-screen TV with satellite channels, free Wi-Fi access and a private bathroom with a bath or shower and a hairdryer. 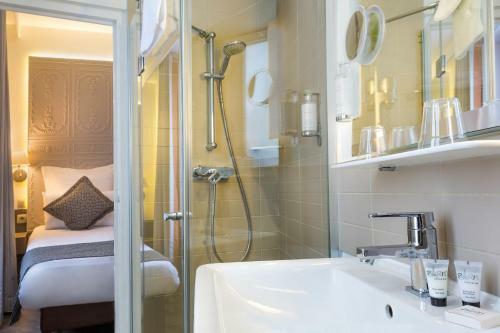 This air-conditioned room has an electric kettle. Rate: € 66.88 ... € 315.00; select dates below to get current rates. 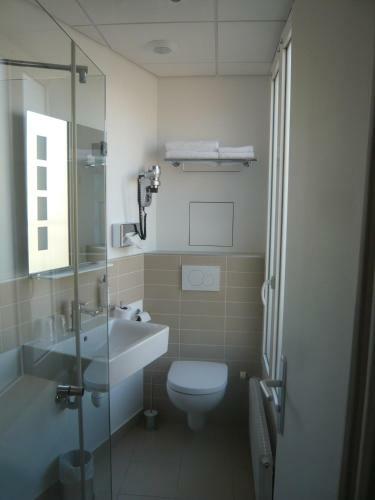 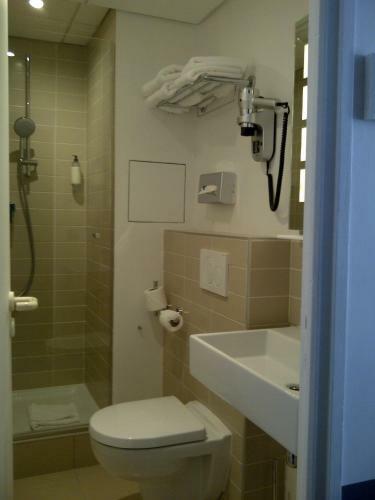 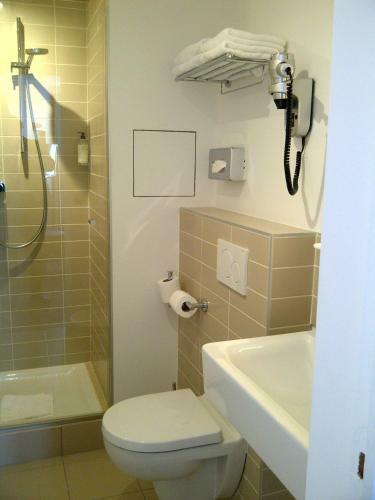 This room also includes a minibar with free soft drinks and a private bathroom with bathrobes and free toiletries such as body creams, make-up remover, toothbrushes, etc. 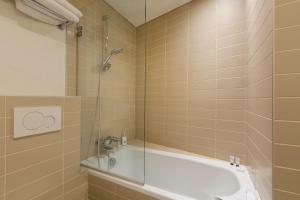 These 2 adjacent rooms feature air conditioning, satellite TV and electric kettle. 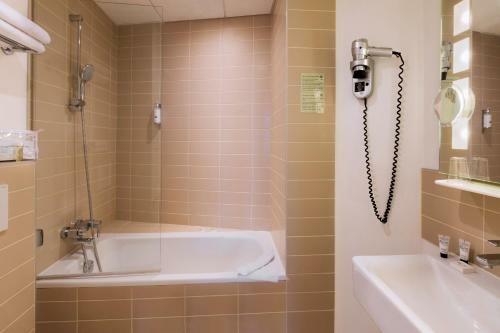 Please note that the rooms are interconnecting.